This succulent forms a large compact rosette that resembles a waterlily. 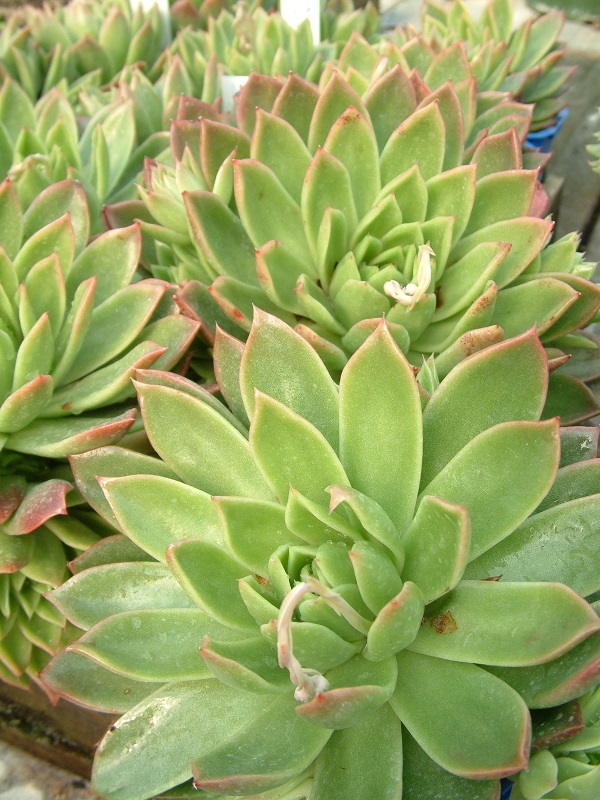 Its mid green leaves have pink tinges at the tips. A great plant for pots indoors. Drought tolerant. Prefers full sun.